The government has limited debate on proposed legislation it named the "barbaric cultural practices" bill. The legislation would make it illegal for anyone under 16 to get married and block anyone in a polygamist relationship from immigrating to Canada. The government has limited debate on proposed legislation to make child marriages and forced marriages illegal. The Conservatives moved a time-allocation motion Thursday morningto cut off debate on the proposed "Zero Tolerance for Barbaric Cultural Practices Act" afterthree days of debate at its current stage.The bill was first debated on Feb. 17. MPs were debating the bill when the motion passed, leaving Monday, March 23, as the final day of debate at second reading. The House will vote on the bill that evening before it is expected to go to a committee for further study. Thursday is the second last day of the sitting before MPs go on a one-week House break to return to their ridings. The legislation, bill S-7, originated in the Senate and would make it illegal for anyone under 16 to get married. It would also explicitly require consent for marriage, block anyone in a polygamist relationship from immigrating to Canada and allow for a peace bond to prevent someone from participating in forced or child marriage. Finally, it would make it illegal for someone to remove a child or non-consenting adult from Canada to have that person married. Government officials have referred to a report by the South Asian Legal Clinic of Ontario that said it was aware of 219 cases of forced marriage originating in Ontario and Quebec between 2010 and 2013. But the organization last fall said the "barbaric cultural practices" bill shows the Conservatives aren't listening. "The government's statements in support of these changes are not based on any statistical data or research, perpetuate myths about practices of polygamy and forced marriages, and lead Canadians to believe that violence against women is a 'cultural' issue that happens only in certain communities," it said in a news release. Deepa Mattoo, a staff lawyer at the clinic, told the Senate human rights committee in December that Canada shouldn't be looking at criminalization yet for forced marriage because it hasn't properly defined the problem or started educating people about it. "The existing law captures issues of forced marriages pretty soundly, I would say. If we look at the criminal law provisions of duress, harm, assault and kidnapping... we have very strong criminal law, which can apply in a situation of forced marriage if need be," she said. Mattoo said some women won't come forward if they think their families will be charged. "Eighty per cent of my clients, in the last eight years, have had a chance to reunite with their families in one way or another. Being reunited could be that they just make a phone call to them. The reuniting could be that they visit them once a year. I'm not saying that they all go back, but they do want a chance to have a relationship with their family, which criminalization takes away from them," she said. Multiculturalism Minister Jason Kenney said the bill's controversial title had elicited debate in Parliament and argued it was done intentionally to draw attention to the government's concern about certain practices. Kenney told the House during debate over S-7 that the government doesn't want those practices "justified in Canada under the licence of multiculturalism." "We believe in equality of men and women as a self-evident principle of our society," he said. This story has been edited from an earlier version to clarify that bill S-7 is up for two additional days of debate at second reading rather than two days total. The bill will have been debated for three days at second reading before it goes to committee. 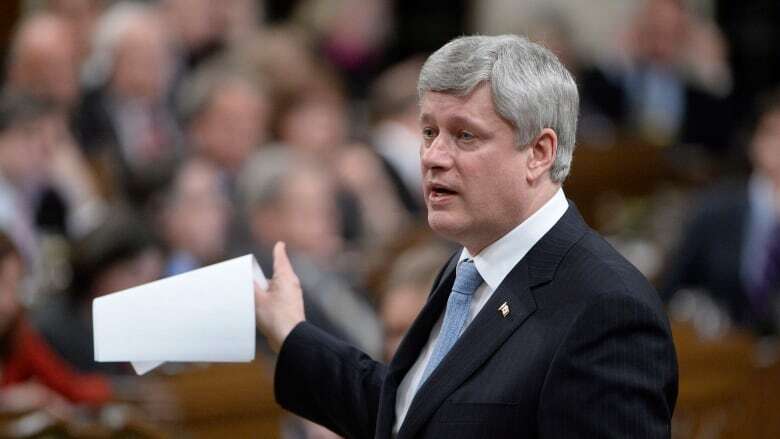 Will Stephen Harper regret remark on niqabs?